My first cat, Jordan, began to walk a bit slower and with less “spring” in his step in the last few years of his life. He could still jump up on the bed and make it up the stairs, and every once in a while he would get the “cat crazies” and race around the house, but he didn’t have the limber, fluid grace he had as a younger cat. Our vet assured me that this was a natural slowing process of Jordan’s aging and not symptoms of arthritis. Wexler-Mitchell further explained that this condition develops when the cartilage between bones breaks down and no longer cushions the joints, allowing friction to occur. The resulting inflammation of the joints is called arthritis. Arthritis is not the only malady to affect a cat’s joints. Other conditions include displacement of the kneecap, hip dysplasia, and joint trauma (including ligament tears). A hereditary disorder, kneecap displacement occurs when the kneecap (patella) does not develop normally. This condition may be accompanied by other abnormalities of the cat’s hind leg, such as the hip joint, femur, or tibia. Hip dysplasia is another hereditary condition involving abnormal development of a cat’s hip joints. Kittens typically don’t suffer from arthritis but might inherit the tendency to develop kneecap displacement or hip dysplasia. A kitten can also experience joint trauma if one of her limbs becomes twisted. As a kitten, our black-and-white domestic shorthair, Tux, wedged one of his front legs in a small hole in the decorative woodwork on a dining room chair and wrenched it out before we could ease it out gently. When he started limping, we had him examined by our veterinarian. Luckily, Tux had only the feline equivalent of a strained muscle, and we just helped him rest and recover. We also modified the chairs to prevent further incidents. Don’t worry: If your kitten seems to totter around on unsteady legs. Young kittens can be wobbly and not always sure on their feet. She’ll gain her footing as she grows. Be concerned: Limping, avoiding activity, and cries of pain are warning signs. If your kitten displays any of these, have her examined by a vet as soon as possible. Adults are susceptible to joint trauma, and older adult cats might begin to show signs of arthritis. 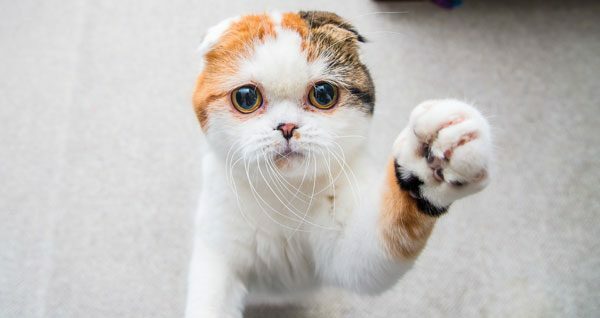 “Cats don’t complain about their chronic aches and pains as do their human counterparts, but they do feel them,” Wexler-Mitchell said. A cat’s weight can exacerbate any existing conditions with his joints. Extra weight places additional pressure on joints already under stress. Your vet may recommend putting your cat on a diet to help alleviate symptoms. 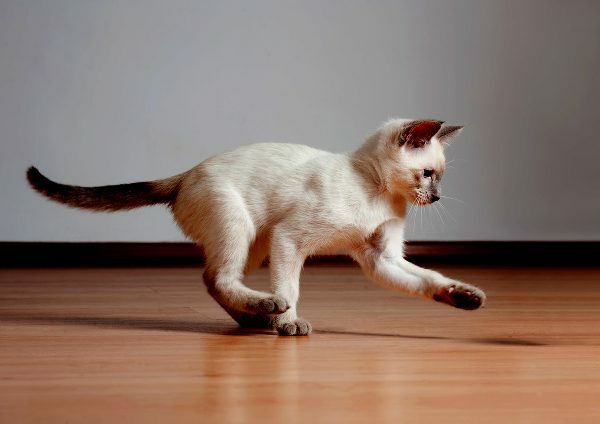 Don’t worry: Adult cats don’t race around the house with the energy of young kittens. 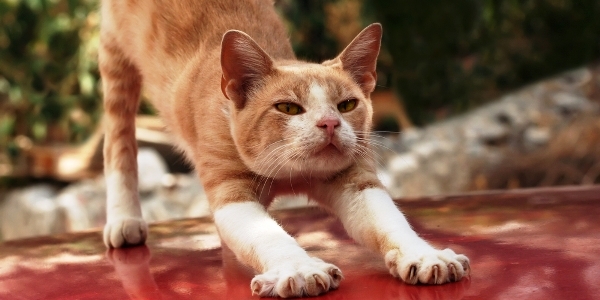 Just because your cat slows down a bit doesn’t mean she’s experiencing joint issues. 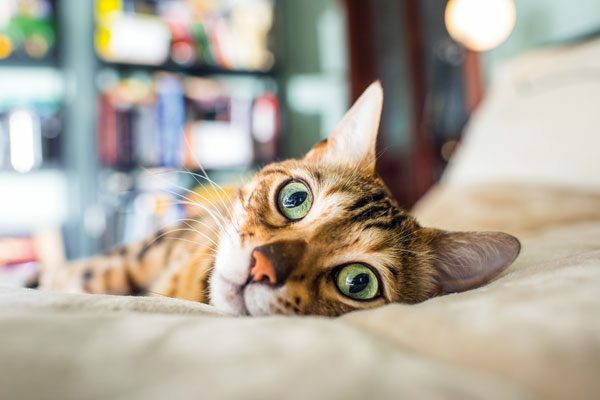 Be concerned: If you notice your cat repeatedly licking or chewing on her hip, leg joint, or ankle, she might be experiencing pain in that area. Have her examined by a veterinarian right away. • Keeping your cat’s nails trimmed. Her diminished activity may not allow her to wear down the nails as quickly. Don’t worry: Senior cats enjoy a slower paced life, and a decrease in activity level at this age is to be expected. Be concerned: If your senior cat avoids activity altogether or shows sign of pain when you stroke her or pick her up, she should be examined by a vet as soon as possible. About the author: A lifelong cat owner, Stacy N. Hackett writes about cats, cat breeds, and pet-related topics. A big source of inspiration comes from her two adopted cats: Jack, a 6-year-old red tabby domestic shorthair, and Phillip, a 2-year-old gray-and-white domestic shorthair. Stacy also is “stepmom” to a Cocker Spaniel/Labrador Retriever mix named Maggie as well as two brown tabbies named Katie and Leroy.